Jukka Tuhkuri carries out research on ice mechanics and arctic marine technology. He has studied, among other topics: fracture of ice, formation and strength of sea ice ridges, ice failure process against inclined structures, and crushing of ice. He is conducting numerical work by using the discrete element method, but also experimental research including field experiments - which has taken him both to the Arctic and the Antarctic – and laboratory experiments in the Aalto Ice Tank. This research is important because global warming is increasing the marine activities in the Arctic. Even ships without any ice-strenghening are entering areas with decreasing, but yet significant, ice coverage. This trend includes major human and environmental risks that need to be properly addressed. The research by Jukka Tuhkuri will help to understand the ice loads on ships and marine structures. 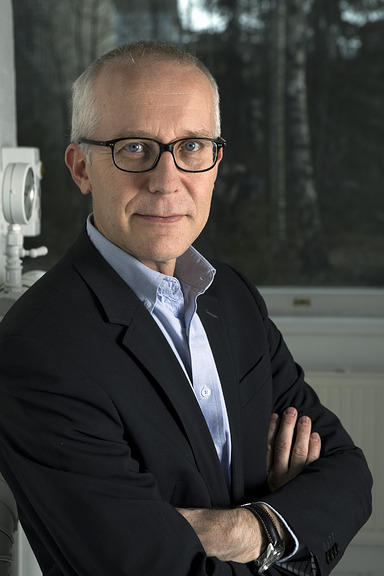 Jukka Tuhkuri currently serves as the Editor-in-Chief of Cold Regions Science and Technology and will host the IUTAM Symposium on Physics and Mechanics of Sea Ice at Aalto in 2019. He has been a professor of solid mechanics at Aalto since 2001, a visiting scientist in Canada and USA, and has spent a sabbatical at UCL in the UK in 2017-2018.